The AmbitiousBookClub - A Book Club a Cut Above! AMBITIOUS is a monthly discipleship book club of strong Christian women who have a heart for their King, a heart for their family, a heart for the Church, a heart for Truth, and a heart for the culture at large. Because ... You don't know what you don't know. Because ... You can't give what you don't have. Because ... What shapes your thinking, shapes your living. Because ... We are charged to contend for truth. Because ... So much is riding on it! BECAUSE WE HAVE SO GREAT A SALVATION! for life is short, and time and energy limited." You see, we are convinced by testimony of Scripture and by HIStory that moms are a powerful force in the world. Christian moms should be one of the most powerful forces for advancing Christ's crown and covenant on earth here and now - for the joy and good of everyone. We need to reclaim the full role of the Proverbs 31 woman (1-9). Have you met this gal? She's no pushover, and neither should we be! 'What are you doing, my son? What are you doing, son of my womb? defend the rights of the poor and needy.'" Now, that's a mom with moxy! in our biblically ignorant, a-literate, mushy-thinking day. We heartily desire to be contenders of the faith! Here is Our 2018-2019 Schedule of Books! Here is a 14 page study guide to accompany our book. ​Also - there is a 4 part study available on Right Now Media. Don't have a subscription. Come to our SEPTEMBERTalk and find out how to get one! ​*We gather for booktalks on the 2nd Tuesday of the month. 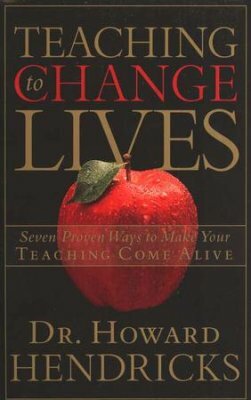 Let Hendricks show you how to make the most of your God-given opportunities to instruct and inspire! Whether you teach "officially" or "off the cuff," you'll instruct with power and passion and make a positive, permanent impact on others when you practice his seven principles on education, communication, encouragement, readiness, and more. ​The word “hospitality” can often create various levels of anxiety because of the perfect images of fashionably dressed hosts and impeccable homes that media and culture bombard us with. 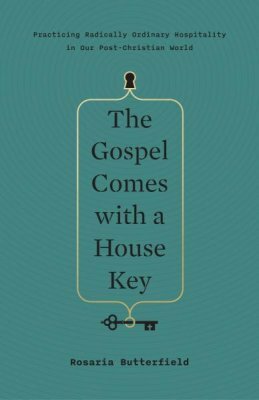 Yet, Rosaria Butterfield, in The Gospel Comes with a House Key, casts a far more reassuring and ordinary vision for what hospitality should actually look like. Using engaging stories from her own experiences of being on the receiving end of radically ordinary hospitality, Butterfield shows how one’s simple, but authentic, welcome can become a bridge for the gospel to reach the lost friends and neighbors in your life. This type of hospitality views our homes as God’s tools where authentic love and grace can be seen in action, revealing what true Christian faith looks like. The holidays upon us, our natural inclination is to make the most of these sacred times by evangelizing our neighbors, friends, and loved ones. But how? So much of what today is called 'evangelism' is gimmick and shenanigans. Why not look to the past to see how the 'old dead guys' of the Faith approached evangelism? In this book, Joel Beeke investigates how the Puritans proclaimed what God's Word counsels regarding the salvation of sinners. 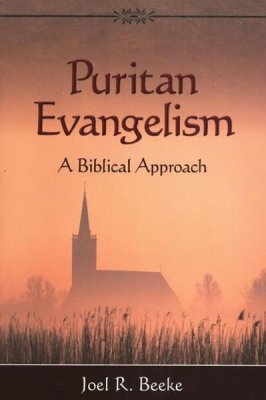 He describes the preaching of the Puritans (thoroughly biblical, unashamedly doctrinal, experimentally practical, holistically evangelistic, and studiously symmetrical), the primary methods of evangelism (plain preaching and catechetical evangelism), and the inward disposition of the Puritan evangelist (dependent on the Holy Spirit and prayerful). ​​*We gather for booktalks on the 2nd Tuesday of the month. ​Sometimes we ask What is God's will for my life? when we should really be asking Who should I be? 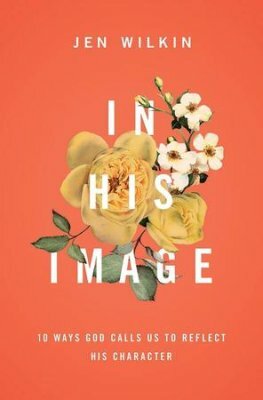 The Bible has an answer: Be like the very image of God. 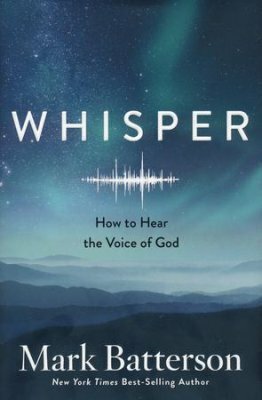 By exploring ten characteristics of who God is - holy, loving, just, good, merciful, gracious, faithful, patient, truthful, and wise - this book helps us understand who God intends for us to be. Through Christ, the perfect reflection of the image of God, we will discover how God's own attributes impact how we live, leading to freedom and purpose as we follow his will and are conformed to his image. ​Twenty-one surgeries by age thirteen. Years in the hospital. Verbal and physical bullying from schoolmates. Multiple miscarriages as a young wife. The death of a child. A debilitating progressive disease. Riveting pain. Abandonment. Unwanted divorce. Vaneetha Rendall Risner begged God for grace that would deliver her. But God offered something better: his sustaining grace. 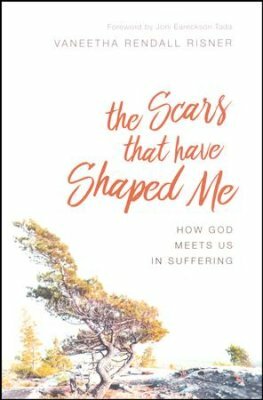 In The Scars That Have Shaped Me, Vaneetha does more than share her stories of pain; she invites other sufferers to taste with her the goodness of a sovereign God who will carry us in our darkest of days. ​PLEASE WATCH VANEETHA SHARE A PART OF HER STORY HERE. "Written with grace and humility, Mere Motherhood is packed with insight and perspective only a thoughtful, experienced homeschooling mama can give. It's the kind of book you'll borrow from a friend and never want to give back. I was captivated." 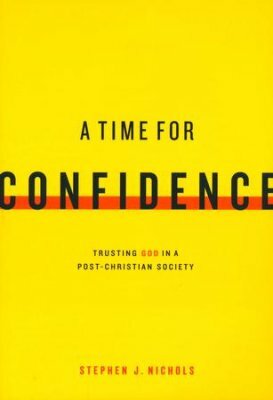 In A Time for Confidence, Dr. Stephen J. Nichols points to the almighty God as the source and ground of our confidence. Though the whole world may shake around us, His kingdom is unshakable. This is a time for confidence. ​Fascinated by the myth of Cupid and Psyche throughout his life, C.S. 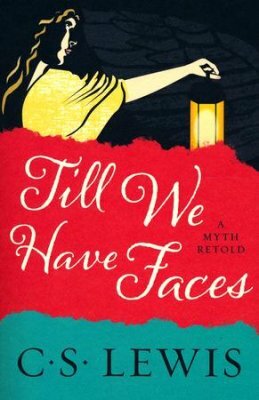 Lewis wrote Till We Have Faces, his last novel, to retell their story from the perspective of Psyche's sister, Orual. With his trademark insightfullness, Lewis reminds us of our own fallibility and the role of a higher power in our lives.